Medicine is entering the age of the microbe. We are just beginning to find out how incredibly important our tiny symbiotic friends are to the health of mammals. Your well-being is regulated in large part by the food you eat because your microbial chemical reactions define your health. 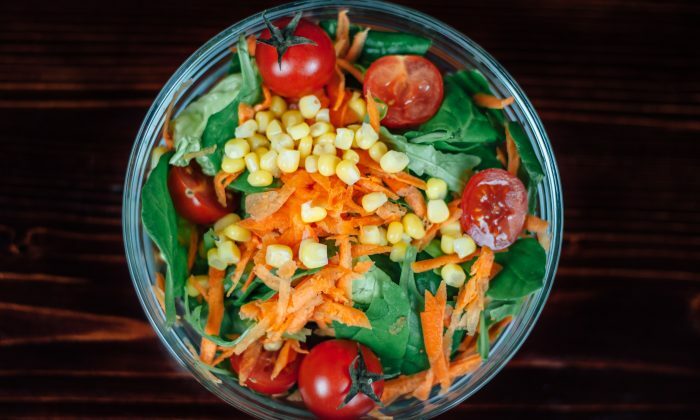 There is no better way to foster a diverse and beneficial gut-ecosystem than to eat a salad every day consisting of many different vegetables and herbs. Think of your body as your family and your gut microbes as your children. The health of those kids will completely dictate the health and success of the home. These aren’t just any salads though. We’re not talking about a bag of bleached lettuce and some carrot shreds. These salads promote a diverse and beneficial ecosystem because the salads are made that way: here’s a recipe. Water is wonderful, and chances are, you should be drinking more of it. Let’s take it one step further, though. Cranberries reduce inflammation and keep our kidneys running at peak performance. Lemon juice is said to help clean the liver, and lemons are known to help with digestion and PH balance. Try making cranberry lemonade with stevia, and drink a half gallon or more a day. This counts as your daily water intake too, so you don’t need to drink this and water. It’s super easy, all done to taste, and here’s a recipe. There is probably nothing else easier to do that can beneficially impact your health as much. The toxins you breathe in are not inconsequential. Cleaning products may do as much damage as a pack-a-day habit. Perfumes, air fresheners, that new car smell, and fragrances in body care have been proven to be highly toxic to the body. Open your windows whenever possible, don’t trap yourself in areas that do not have fresh air circulating, and use non-toxic cleaners like this. In many parts of the world, squatting is common while cooking, eating, birthing, and relieving oneself. We used to squat all the time. We are designed to squat. We would squat constantly in the wild. In nature, to navigate life and stay alive, we foraged all day. We would squat down, pick a leafy green, and eat it, likely while still in the squat position, staying low and looking around for trouble or more food. We would squat to track our prey, squat to defecate, and we would squat to relax because we didn’t have chairs. Our bodies have been squatting for a long time, and we are still evolved to squat. Squats even help detoxify the body and regulate our hormones! Click here for more on squats. If squats aren’t possible right now, try “get-ups.” What are “get-ups”? Anything you want them to be, just get up, get back down, and get up again! You may need to start in a chair, or maybe your starting position can be laying on the floor. Just get moving up and down and build up to squats. Us humans were meant to walk and jog and sprint on a daily basis. We should be walking, squatting, and running sporadically all day. Jogging can be particularly hard on a body with a heavy toxic load, but it has tremendous benefits too. If you suffer from knee pain, read this. If running or jogging isn’t something you can do yet, walk. If you can run, walk some anyways. Walking is a kind of meditation even when one is not trying to meditate. Take the stairs and park farther away. Walk and jog and sprint every chance you get. Have you read the studies about this yet? Nature is really important to our health. We need it and we do not get enough of it! If you are near the woods, take a daily walk. Breathe in the nature around you. Do some grounding by walking barefoot or sit on a rock and meditate. Whatever you do, just get out there and get some negative ions. Speaking of breathing, this is not a small thing. One can radically improve their health and their mental well being immediately by eliminating shallow breathing and learning to naturally take deep, full breaths. If you lie down on the floor and breathe in, does your stomach rise or fall? If it’s sinking in as you take a breath than your breathing is all wrong! Here’s how to breathe properly. Michael Edwards is the editor-in-chief of OrganicLifestyleMagazine.com, where this article was originally published.